The Duplin Foundation for Youth Advancement hosted the 11th annual Sheriff's Ball Extravaganza in Wallace recently. The Ball sold 500 tickets and raised funds to provide local children with life-enhancing programs and character development experiences in order to give local youth the opportunity to reach their full potential as productive, responsible and caring citizen. 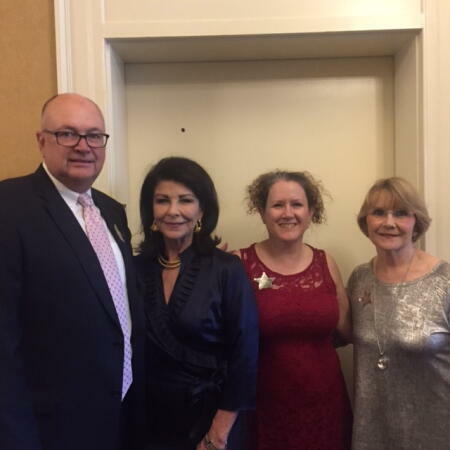 Pictured above are Ed Emory, Duplin County Community Foundation board member; Anne Sorgahen, NCCF regional director; Lisa Meeks, NCCF senior accounting associate; and Deb Merritt, Duplin Foundation for Youth Advancement event chair.